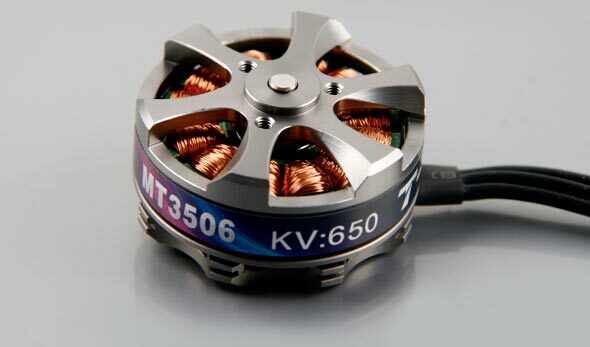 Today I found a very interesting multicopter motor, the T-motor 3506 650 kv from Tiger Motors. 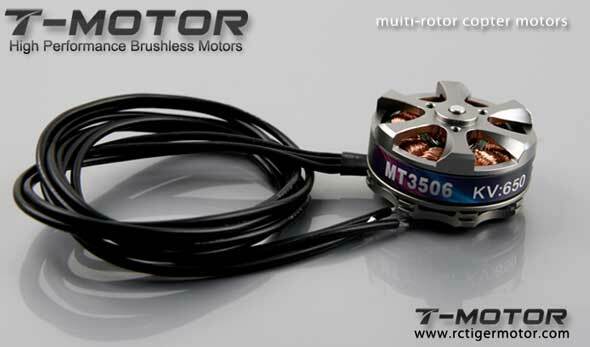 This multicopter motor is from their MT series, which is specially developed for multirotors. The other two multicopter motors are MT 2214 and MT 2216. I have previously written shortly about Tiger Motors because the motor’s bell implies it’s from the same manufacturer as the Avroto motors when I wrote about the Avroto 2814. For my large heavy lift Y6 multicopter I use the RC-timer BC 3536 750 kv, but if I one day will build a slightly smaller multicopter I will definitly take a closer look at those MT 3506 multicopter motors. Tigermotor MT 4006 and MT4008 look good too, but I don’t know much about them more than the info from Tigermotors. I would guess that the large diameter gives lots of torque and therefore can swing large propellers. I have the 4008 motors and from the moment I got them out of the box I was impressed.. all of them were perfectly balanced and when I had them on my motor tester there was such little vibrations coming from them compared to all the other motors I have tested. I would highly recommend t-Motors to anyone.. they are somewhat pricy but to me the motor represents the most important element of the quad. I for one since getting into multicopters would not buy anything else except t-motors. For T-motors in Europe I can recommend http://www.multirotor.co/index.php as they have the largest range on-line that I have seen.